Lala was rescued from a family that could not keep her because they were moving into an apartment. She is approx. 8 months old and is full of energy. She is still in the puppy stages so she needs someone who is going to be able to give her the time, love and direction she needs. She is just precious! 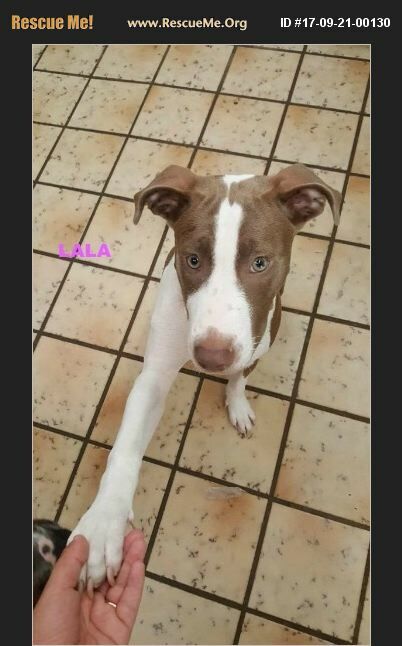 Lala also needs a home with a fenced in yard due to her breed she loves to be outside playing just as much as in the house snuggling on the couch. Lala would be a great pet for children! She knows command sit and shake.